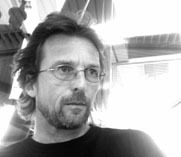 Tom Wright (born 18 September, 1957) is a British Architect. His most famous design is the Burj Al Arab in Dubai, United Arab Emirates. Born in Croydon, a town in Greater London, United Kingdom on 18 September 1957, Wright studied at the Royal Russell School and then later at the Kingston University School of Architecture. Qualified in 1983, Wright went on to become a director of the architectural practice Lister Drew Haines Barrow, which was taken over in 1991 by Atkins, for whom he has worked since then. The Burj Al Arab (Tower of the Arabs) was conceived in October 1993 and finished in 1999. The brief was to create an icon for Dubai: a building that would become synonymous with the area, as the Sydney Opera House is with Sydney and the Eiffel Tower is with Paris. The hotel is built in the shape of a modern yacht sail to reflect Dubai′s seafaring heritage combined with a modern aspect moving forwards into the future. Since 1999 Tom Wright has continued to work for Atkins as Head of Architecture from the Atkins H.Q. in Epsom, London. Here he has assisted design projects for some of the most prestigious international clients. The current portfolio includes work throughout Australasia, the Far East, the Middle East, Europe and the USA. Example projects include the Al-Rajhi Tower in Riyadh, and the Lakeside Hotel, Tunisia. hello, I am doing a school project about to wright and I would just like to ask a few questions. 1. How did he come up with the idea of the Burj Al Arab? 2. How old was he when he started to e architect? 3. If he was to start his life again what would he do differently? This seems to be a great site which offers a , Interior design earlier and they offered good stuff. You will be glad you decided to work with them. to know about Architecture biography. I am waiting for next post. Tom's work is always amazing and praiseable. This biography is written amazingly so you should click here see here writing details. These are the most prestigious time. The approaches of any administration assume an essential part in building the state and if the made some genuine endeavors for raising the instruction framework the total nation will advance and click here to written work administrations will makes in your life. I really like this biography as it decorates the whole concept perfectly and there has no missing side of his life within this biography. visit the website to check out more helpful guide and tips for writing your papers.